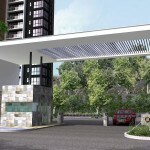 M Tree Hill Condominium, an upcoming high-rise residential development by M Tree Hill Sdn. Bhd. at Teluk Kumbar. Located off Jalan Sungai Batu, adjacent to Desa Pantai Indah in Sungai Batu. 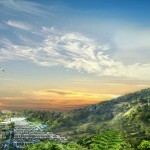 It is about 10 minutes drive to Penang International Airport, under 15 minutes to Second Bridge. This project was formerly known as Straits View Condominium (renamed to One Tree Hill Condominium) by GTM Group, offering 59 typical and 8 duplex condominium units. Indicative price starts from RM895,000 onwards. MBI property better dont buy, later kena sapu by Bank Negara. Good.More hill slope development.Hopefully more landslide. Last project with name straits view condo was wanted to sell for below 700k, after couple of years, price shootup to 900k…what! Offical Launching of M Vista @ Southbay AirBnB vs. Traditional Rental Income: A Creative Way for Investors to Cash Flow?